Creamery packaged. Any time (winter and summer), anywhere (for a treat or a banquet), Sunfreze is appropriate, nutritious and delightful. 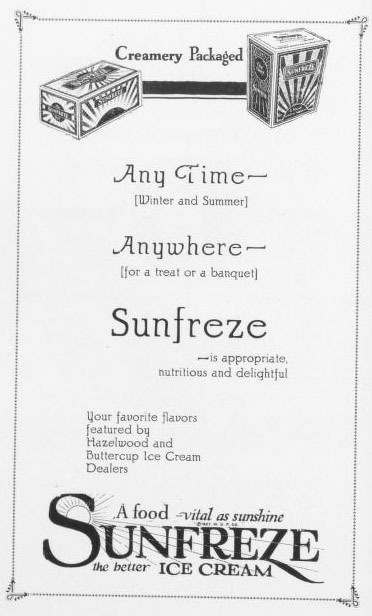 Your favorite flavors featured by Hazelwood and Buttercup Ice Cream Dealers. A food vital as sunshine. The better ice cream.